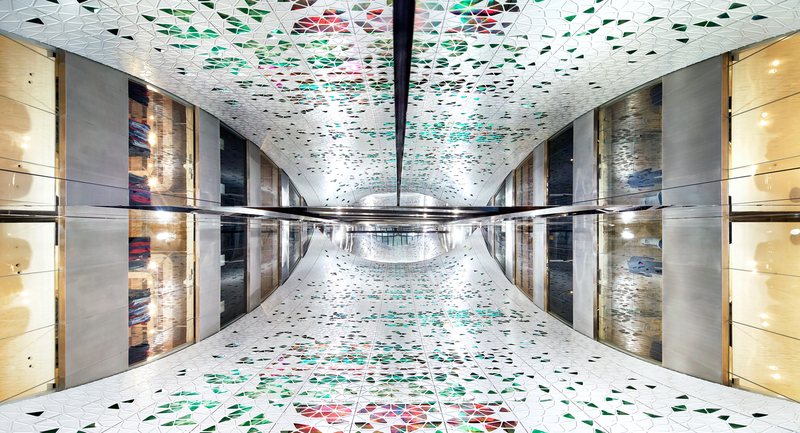 As part of today’s revitalization of the renowned department store Printemps Haussmann in Paris, France. 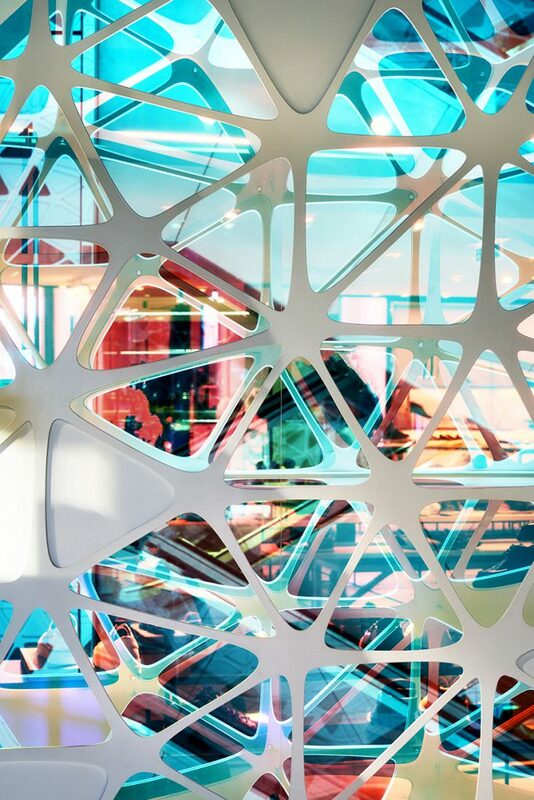 A new vertical circulation space from the lower ground up to the 9th floor that features a delicate three-dimensional form based on a concept of a vertical dome. Called the “veil” it is reminiscent of the store’s iconic stained glass domes seen in 1894. 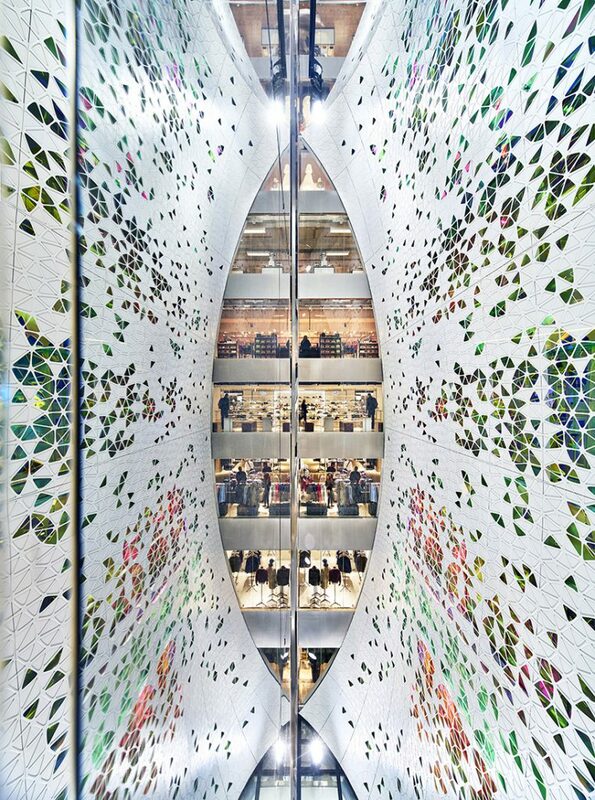 It weighs 24 tons but appears to float in front of the vertical circulation with a glass floor and mirror ceiling. 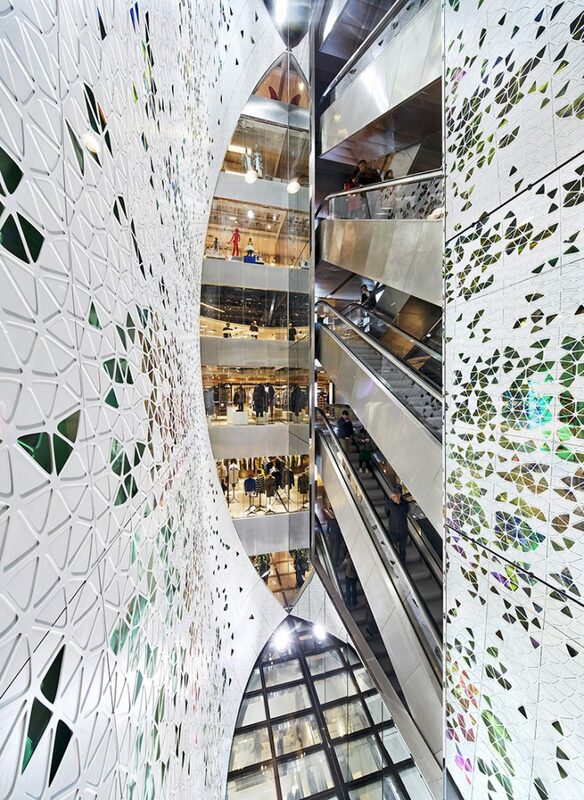 It is 25.5 meters high and 12.5 meters wide, consisting of white-painted aluminum sheets laminated to create a floral relief. The pattern interpretations are images found in the original stained-glass, respecting the tradition of Art Nouveau motif found in nature. 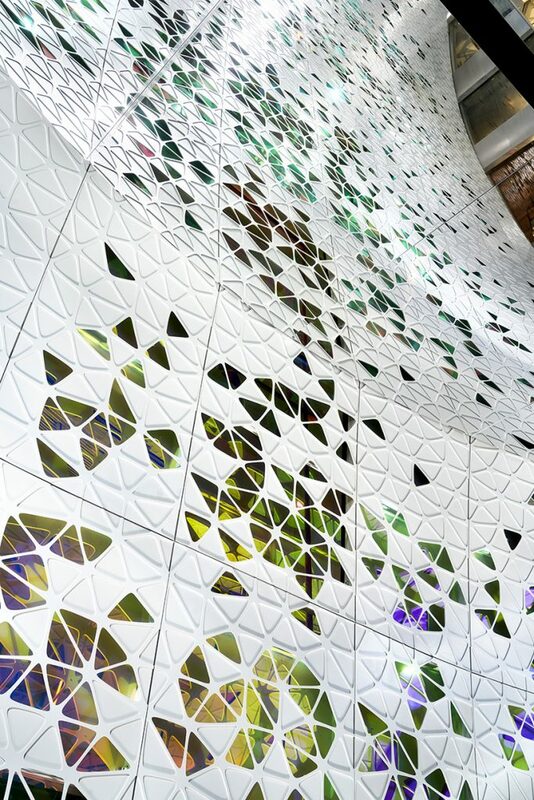 With approximately 17200 petal-shaped opening, it reveals a transformative array of colors through the effect of dichroic glass. Conceived as a public interior space that is read through experiencing the depth and layering. 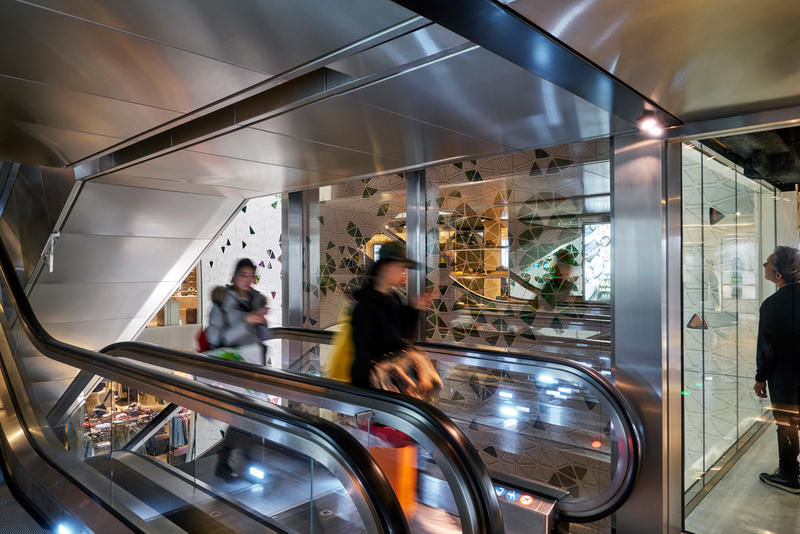 Visitors approach through a darkened vestibule leading to the newly installed escalators. As people move vertically, the one-way mirror opens to give an unobstructed view of the veil. The progression provides a different perspective and moments to experience the transformation within the space. 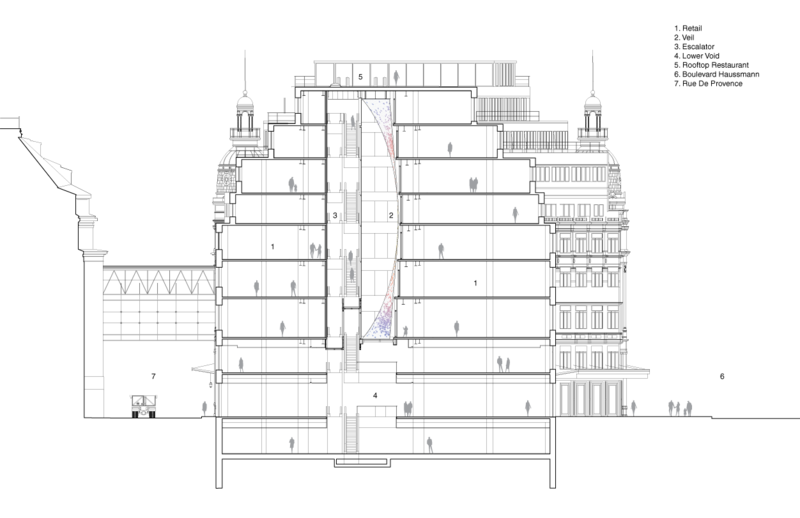 The image of a bi-convex geometric space, a completed symmetry is seen from the side, top and below. 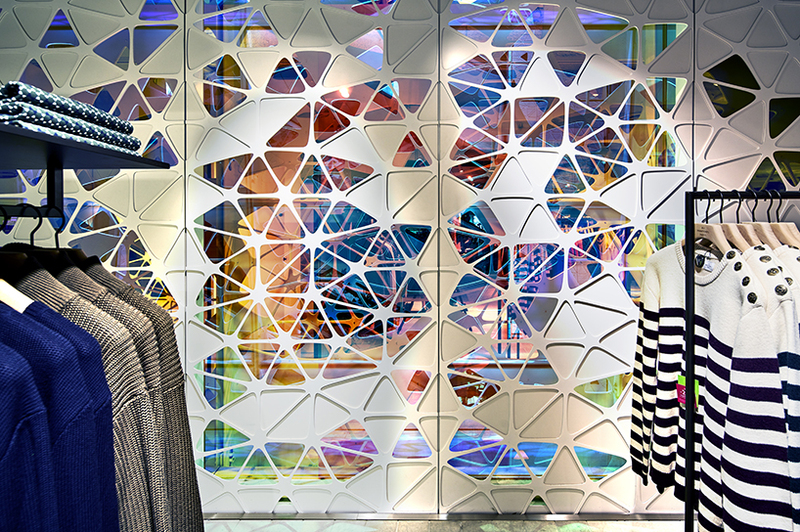 On the retail interior, the veil is perforated to allow interior lighting to transfer. 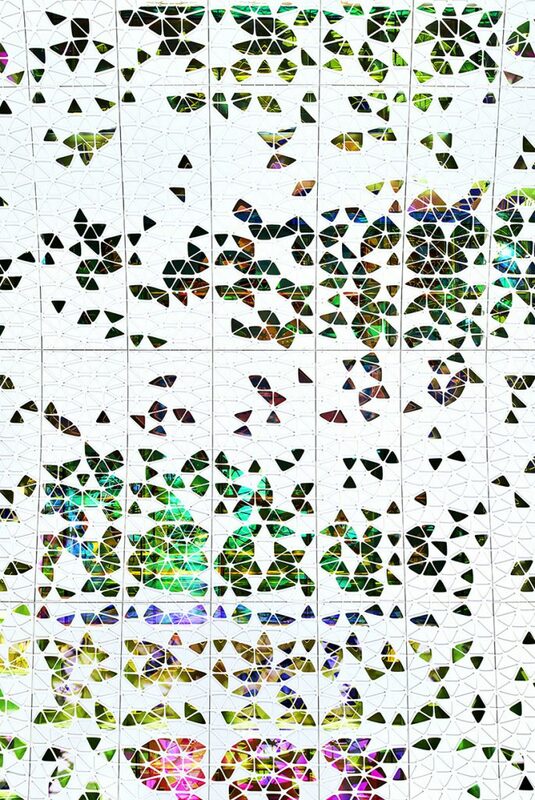 The transparent dichroic glass fills each opening and creates a surface with infinite gradation. 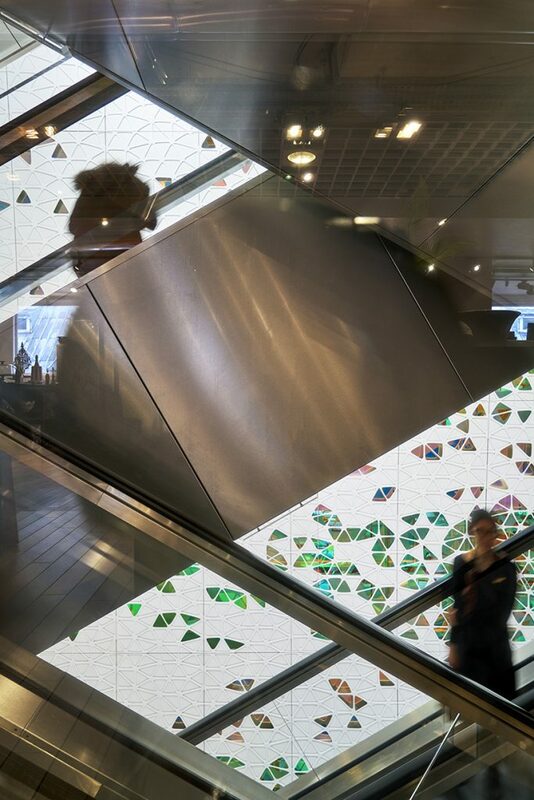 The effect is sensitive and scenographical, and its energy is translated into the retail concepts on each floor.